Have you ever wondered why people make new-year resolutions or set targets before they set out to work? Or have you ever thought why some are capable of ticking off all after goal setting and some give up after struggling? It’s simply because goal setting makes the dream seem achievable and motivates you to increase your efforts. Imagine fuelling an airplane engine, taking off and not knowing where you are headed mid-air. Chances are you will either run out of fuel or tire out to stop before reaching your desired destination. On the flip side, imagine setting a destination, fuelling the tank accordingly and setting a time frame. This will ensure you reach your destination on time with enough fuel. There are a dozen blog posts and write-ups talking about the importance of setting goals. But like individuals, goals are also unique and one strategy will not cater to all. In this article, I will be highlighting the importance of effective goal setting. What’s more? I will give you some amazing tips on how to set goals the SMART way. 1 What does Goal Setting mean? 2 What are the Benefits of Goal Setting? 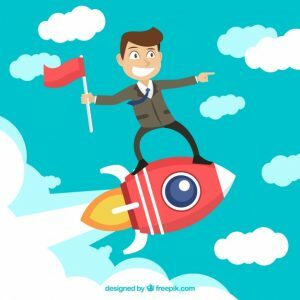 3 What is the flip-side of Goal Setting? 4 How do you classify goals and why? 5 What is the difference between Measurable and Subjective Goals? 6 How to get to the nitty-gritty of Goal Setting? 7 What are Key Performance Indicators? 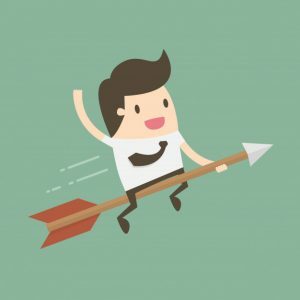 8 How to Set Goals? 9 What do you mean by Goal Cascading? 10 How do you Keep Track and Update Goals? 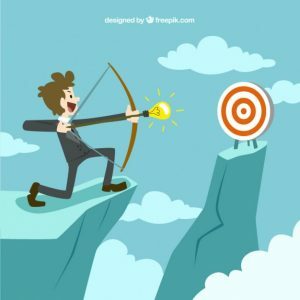 11 How to avoid the common mistakes made in Goal Setting? 12 What are Goal-Setting Frameworks? 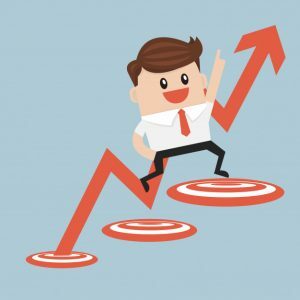 13 What Trends should you follow in 2018? What do goals mean to you? The word “goal” may immediately draw up a picture of a football match in your head. However, goals hold a wider meaning when they form part of the management literature. In simple terms, a goal is something you aim for. Goal setting is understood as the process of defining these aims and objectives with certain guidelines to help you achieve the set goals. 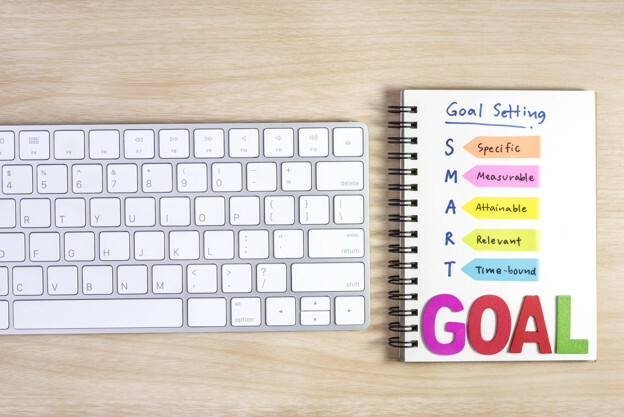 According to Wikipedia, Goal setting involves the development of an action plan designed to motivate and guide a person or group towards a goal. This definition is perfect for it highlights the two main aspects of goal setting, that is, action plan and its end agenda to motivate. Imagine yourself in the gym, performing continuous circuit training sets, your goal may be to complete four such sets. After three sets, you feel like giving up but because your goal is set at four, you will feel the drive to push yourself and complete the fourth. And if you perform with a group, the performance, and completion of your goals will inspire and motivate others to complete theirs by putting in that extra bit of effort. The same process takes place at your workplace. You set a goal, you create an action plan to achieve it and this motivates you and your team to complete the work set. Seems simple right? However, a lot of people struggle with devising a plan to reach their goal. They know what is to be done, and they are ready to put in an effort to achieve it but they don’t know how to devise an effective plan. Ultimately, throwing darts in the dark may hit your target by fluke one time, but will eventually lead to failure. So, the first thing to do is reduce the distance between the effort and target by creating a solid plan of action. Thus, it goes without saying that you need to practice goal setting to define your win. It’s easy for me to harp on you to set goals. At the same time, it’s unfair to expect you to do so, without sharing the benefits which come with it. The world of labor study shows a direct and high correlation between employee’s motivation and goal setting. 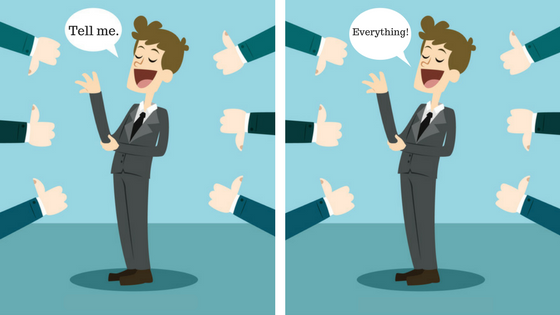 Which employer doesn’t want motivated employees? Nowadays many organizations acknowledge the importance of motivating their employees for the sheer boost in performance and work culture. Setting clear goals is likely to drive your employees for they will remain engaged in order to reach the goals. A ship requires a direction and efforts of the crew to reach the port. Similarly, a business requires a vision backed by actions to succeed. Goals are an intermediate step to perform the right actions. Having a broad plan and vision lays the foundation, breaking it into achievable goals helps build the company. Also, setting goals makes it easier to prioritize and star mark work. Reaching our goals, makes us feel happy. However, setting our goals and falling short to reach them makes us feel equally miserable. 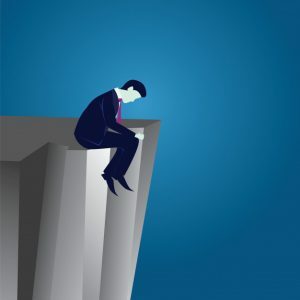 According to Prospect theory, this feeling of “short-coming” hurts people more than the feeling of happiness experienced as a result of success. Thus, imagine you and your employees have goals set, and you fail to reach them for xyz reasons. You are more likely to be motivated to put in extra effort in order to avoid the negative feelings. Imagine you study all subjects in a year and are required to take exams without knowing the schedule or required marks to pass. Sounds absurd and stressful right? Goal setting ensures that the focus of employees and managers are focused on essential tasks. It guarantees smooth transitioning between projects and weekly targets. 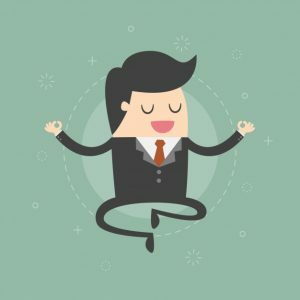 In fact, a balanced set of goals also improves the efficiency of employees by reducing monotony in work. All these contribute to higher productivity, better profits and automatically lesser stress. A study found that employees with clear goals worked faster and more efficiently irrespective of the money factor. This is simply because goal setting keeps them motivated by adding to their feeling of achievement. It also makes them feel important when they schedule their own targets and complete it. A no-brainer would be to combine both and keep rewards as incentives when an employee reaches a goal. 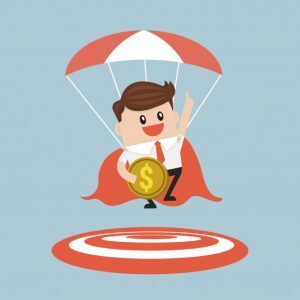 This list of benefits is not an exhaustive list, goal setting has its own advantages for your employees, team, and company as a whole if done effectively. This makes goal setting a major instrument for attaining a highly productive and driven team. 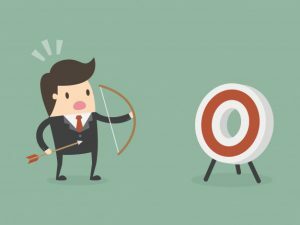 What is the flip-side of Goal Setting? 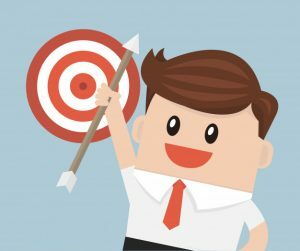 Giving your employees targets is the way forward. However, understanding their strengths and weaknesses before setting goals is equally important. 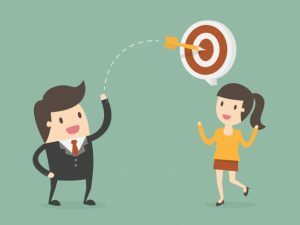 Setting unrealistic and vague goals will create pressure, and ultimately affect your employee’s performance. Setting goals and meticulous planning often take away the focus from the bigger picture. 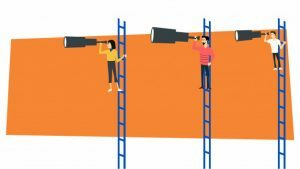 Often managers are so busy setting goals, and employees are engaged in the execution of goals, that the company’s aim and vision are sidelined. Another issue with tunnel visioning is that the effects of the goals are not taken into account. 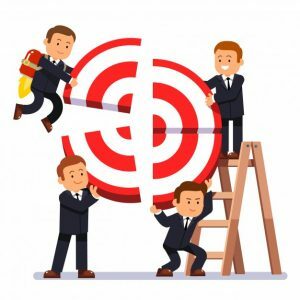 For instance, launching a new product may be the new goal, but you are so engaged in the conception that you fail to realize the customer’s preferences and needs. Usually, goals are followed by incentives and appraisals. The employees in this run, succumb to unethical practices. They try to achieve the goals by hook or by crook. This may improve profits for a short run, however, in the long run, the company image gets tampered. In a team, if an individual cannot reach a goal, he may feel disappointed and depressed. The reason for his failure may be that the goal set for him wasn’t his strength area. 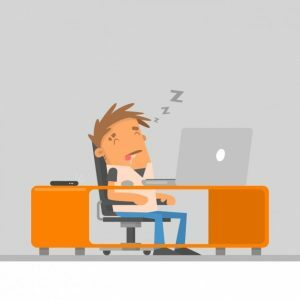 This feeling of failure will eventually lead to disengagement and decrease in performance. How do you classify goals and why? In an organization there a million things to be done by hundreds of people. It’s very important to have a vision and direction in mind, but how do you execute? Goals are the way to do it. But hundreds of people, and a million things and only setting goals? Sounds tedious, and reeks of mismanagement, right? That is why it becomes necessary to classify your goals and plan your objectives accordingly. So, what are some categories of goal setting which you can use? As the name suggests, the strategic goals are directly related to the mission of the company. When you have plan goals for market standing or maybe implementing a new idea, these will come under strategic goals. Also, these goals are set for the entire organization and not individual departments. 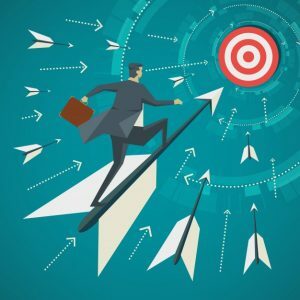 You reading this article, and trying to implement goal setting in your organization itself is an example of strategic goals. These are the next level of goals directly related to strategic goals. They are like support systems for the strategic goals. The goals will include performance parameters for different departments and divisions. So, if you decide to launch a new product then the break down of which department will do what will consist of your tactical goals. Tactical goals are relatively short-term compared to strategic goals. Operations literally mean ready for use. Pertaining to this, operational goals means goals which are ready to implement. Operational goals are thus, specific to subdivisions and employees of the organization. The setting of individual targets in accordance with a timeline will cater to the operational goal setting. Have you heard of the idiom “Killing two birds with one arrow”? A super-ordinate goal is that arrow. It helps in solving two major problems faced- Team building and Conflict resolution. Setting goals at levels may lead to a clash and eventually conflicts. Super-ordinate goals are setting goals for more than one division. In this, two or more divisions work together towards a common goal, which helps tackle feelings of animosity and tensions in the organizations. These are goals colored with personal preferences and biases. A company which envisions to create a difference in the environment may prioritize using recyclable material irrespective of the costs. Whereas, a company which is focused on creating the best customer satisfaction may prioritize materials which reflects the demands of their customers. Imagine a world where there are no numbers. A world like this will stagnant as there will be no way to measure progress and achievements. And stagnation and success are antonyms. It is thus, essential to set specific goals which can be measured. 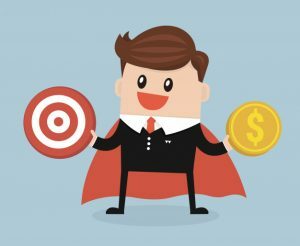 If today I ask you what is your sales target for the month? Another way to classify goals would be personal goals. The manager may set individual goals. But when employees break down the task and set sub-goals for themselves it makes them more engaged and productive. What is the difference between Measurable and Subjective Goals? I am quite sure that you think both are mutually exclusive sets. However, this is not true. Subjective goals are intangible and difficult to define because of individual differences. However, they are the backbone of the measurable goals. A company has to have a vision, ethics, preferences, and idea. These form the subjective goals. What ethics will be practiced? Which idea is a priority for the company? What will make the employees happy? What new product is to be launched? Etc, etc. Once these are set in place, the measurable goals can be formulated. These are specific, and number based. 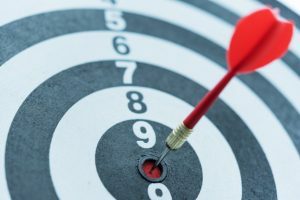 Most importantly measurable goals can be compared and be used to understand the direction your company is heading into. How many vendors will you approach for sourcing materials? How many employees are needed to complete the project on time? When will you interview them? Etc, etc. It’s clear that there are no black and white categorizations for goals. One goal which seems subjective may transform into a measurable goal as soon as the activity is benchmarked. How to get to the nitty-gritty of Goal Setting? It’s very easy to think of an idea or goal to accomplish, and equally difficult to implement it. 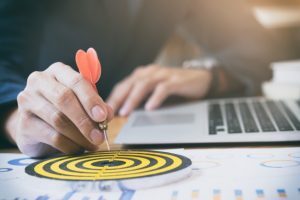 In order to make sure that you reach your goal, it’s important to make sub-goals, transcend your goals into action plans, get a performance indicator in place and finally, evaluate your accomplishments. Each goal is an accomplishment. And let’s face the reality, it’s difficult to tick off goals. It requires a lot of time and effort. So how do you keep yourself and your team motivated? How to achieve the goals? It’s simple. Start small. If the marathon is for five miles, set a goal to complete the first mile, then the next and so on. Like Lao Tzu said, “The journey of a thousand miles begins with a small step”. Sub-goals is exactly this. It is fragmenting the mammoth tasks involved in the goal into small sub-goals. Say you want to lose five pounds and get healthy. You set your goal to shed the extra pounds in a month. In a week, you feel demotivated you are nowhere near to your goal. What will you do? Chances are the month will turn into years and you will still not have achieved your goal. This is because the motivation drops gradually. Now say, in this goal of shedding the extra pounds. You make a weekly target to lose a pound a week and consequently take measurements each week. The first week you lose one, next week you lose half, then again you lose one and so on. These small changes and accomplishments will help you reach your ultimate goal. Thus, sub goals become important to keep the drive and motivation rising and in place. 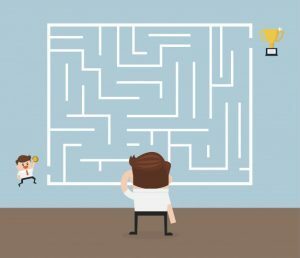 How to transcend goals into action plans? Once you set your goals, your next step should be to hustle. Before you dive into work, it’s essential to define a plan. Because smart work is what creates the magic with Millenials today. Your action plan should be the step by step guide on how to turn your dreams into a reality. What changes will take place because of the action? Who is accountable for this action? When should these activities be completed? What additional help will these actions require in terms of resources? With this in mind, it is also important to create action plans so that nothing and no-one is overlooked. Smartsheets is a great tool to use for making action plans. 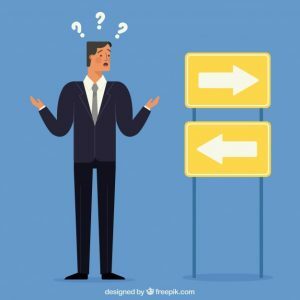 Why are action plans important? The next step is to understand if the plan was a success or a failure. The key performance indicators can be used for this purpose. It is an indicator used to measure the success of an objective in an organization. It is used at various levels to keep track of the performance of teams and employees. It is the “key” to evaluate the performance as it focuses on specific goals. Often companies adopt the available KPI’s without any thought. If you do this, likely you won’t be seeing any results. This is because one major function of KPI is communication. And the style of communication in your organization may be different than the industry-recognized KPI which you have adopted for your office. The KPI’s are losing popularity. 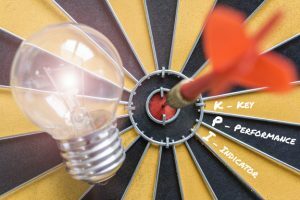 The best selling author and enterprise performance expert, Bernard Marr, wrote an interesting article about “What the heck is a…KPI?“. This article highlights that a KPI is only as valuable as you make it. How to design a KPI for your organization? What is your end outcome? In what ways can you measure this outcome? Can you influence the outcome in any way? Who is accountable for this outcome? What defines the achievement of this outcome? How often does this outcome need a review? Progress will be measured as a decrease in the number of employees leaving the company. Now that you know that goal setting is a major ingredient for your recipe of success, let’s see how can you set goals effectively? What steps are to be followed? How can you implement and make these goals a reality? These seven steps will guide you to set and achieve your goals. 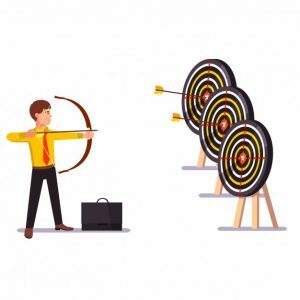 Setting an objective is equivalent to aiming at the bullseye while playing darts. It’s a way to define what you want to achieve through the goal. For this an understanding of the company’s vision is important. For then you can align your objective, goals and action plans with the bigger picture. A long-term vision about the future direction helps in defining objectives. Assessing the current level of where you stand and what needs to change to reach the future ideal scenario is also a great way to set objectives. Now that you know what your target is, it will be easier to sort and label tasks as important and not so important. You can make this into a fun team building activity. 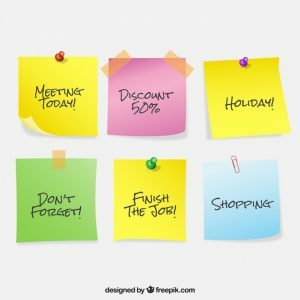 Call a meeting, have tasks written on sticky notes, make two columns on the wall and start pinning them under important and not so important. Ask each member to sort their tasks using the same wall and columns in the meeting. So, this way you can list out the urgent tasks and also have a view of which task is directly helping in achieving the set goals. You should have a basic idea of how to reach your goal. 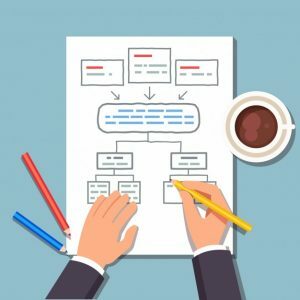 It’s useful to use mind maps and flow charts to understand the flow of actions required to accomplish your objective. Once, the basic idea is set, you can use action plans with detailed divisions and timelines for specific actions and sub-goals. Then, it becomes important to cascade the goals from the top down to all levels. A manager alone cannot be expected to understand the strengths of each employee and devise plans. It’s important for everyone to take part when the time comes to define goals. For this, a provision should be in a place where the employees and managers can give suggestions. And after the plan is executed, their feedback is also equally important to evaluate the efficiency of the plan. Imagine you set a list of things to do for your team, but they aren’t enthusiastic about the goal at all. Or, you may be using a lot of your time by reshuffling and reassigning goals. It may happen your goal setting is top-notch yet employees are not involved with it. 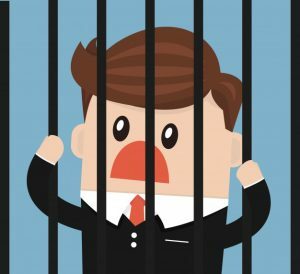 To avoid this, it’s mandatory to keep your employees motivated and incentivize proactive behavior. Make yourself and your employees believe that this goal is a stepping stone to your success. Vaguely setting goals with indefinite time will never yield results. Time is one of the primary reasons people fail to achieve their goals. The goal set has to be time-bound, and the employees need to be educated about time management. Using schedules, timelines with priority labels is a great way to go about it. After you set a goal, the next important thing is to track your progress. It’s easy to ask your employee to get more customer, but it is important for you to follow up and see the progress. This helps your employee feel that his work is making a difference, and also, helps you tweak the goal according to needs. 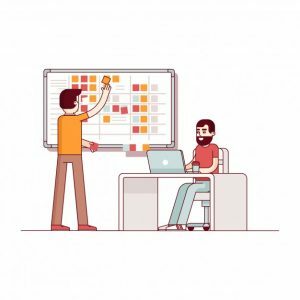 Sometimes it may be difficult to keep track, but this can be tackled by continuous communication between you and your team. If you follow these seven steps, I can guarantee effective goal setting for your organization. What do you mean by Goal Cascading? You just attended a board meeting with the CEO and got a glimpse of what direction your company is taking. The broad targets set need to be achieved. 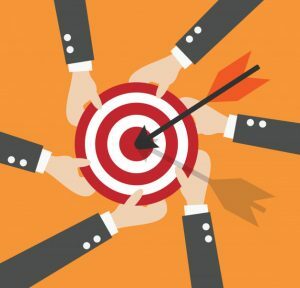 You need to now break these down, delegate work and get everyone on your team to work towards their targets, your targets and the company’s vision. This alignment is essential to get everyone moving in the right direction. Otherwise time, energy and resources all will be a waste. This is cascading of goals. Simply put, it is a process of communication which is used to assign goals downwards in an organizational hierarchy. It starts with a definition of strategic performance goals by executives. It is then passed along to the next level of management who further break it down for their teams. This is continued until individual employee goals are set. This idea has been around for generations. However, recent research has advised avoiding this technique. In experts opinion more than often cascading goals from top to bottom don’t yield results. 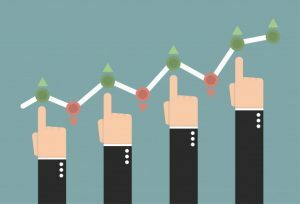 A lot more performance management techniques are in place for ensuring better ways of working. The importance of individual differences cannot be stressed upon enough. The employees need the freedom to set their own goals so that they feel more driven. These days, even the medicines prescribed by doctors are questioned by Millenials. The goals cannot be prescribed, they have to be personal and meaningful for each employee. 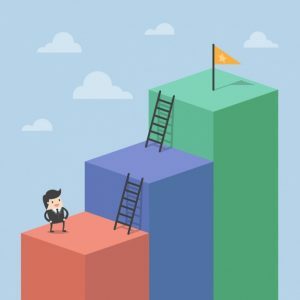 Imagine a computer engineer setting goals for Human Resource Counselors. It’s unrealistic to expect that the top-level managers understand the demands and work of each role. This expectation leads to goal setting which is unrealistic and often unnecessary. Cascading has no provision for changes to take place. This is because this activity is carried out only once a year. In modern times, the goals set need to be reviewed and changed according to demands. This is a major reason why this technique needs a replacement. Goal cascading is complicated, it requires strict timetable objectives to be set and often impossible goals to be set in stone. A large amount of time is required to draft these policies and the result is a frustrated workforce. 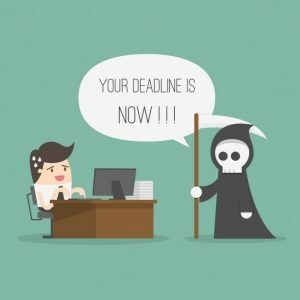 Often seniors procrastinate to set their objectives, which causes a hang-up of work for all employees in the organization. Cascade the objectives by aligning them upwards instead of downwards. A better way of achieving goals is to make it the employee’s responsibility to set their own objectives. Before doing this ensure they have been given information and know the company’s strategic goals. CEB, the leading management research organization recommends giving employees a one-page sheet of organizational priorities. This sheet serves as a reference point that employees and managers can use to record their goals. By aligning lower level goals with higher goals, organizations can save time and effort. This approach is gaining popularity. Firstly, it personalizes the goal for each employee and increases the sense of accountability. Secondly, it helps to create understanding in employees of the strategic objectives set for the entire organization and helps them realize how they will be making a difference. And thirdly, it is simple to use and doesn’t require a lot of time. How can you use upward alignment? In order to this smoothly, two things need to be in place. One, the objectives should be shared with employees in clear language. A must for this is to use easy language which everyone can understand. And two, the employees should be educated on goal setting. A simple flyer or handout can be used to pass along this information. 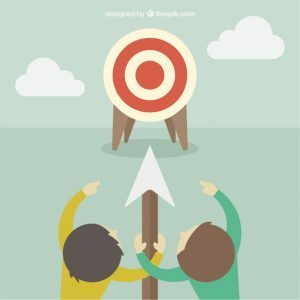 Make sure these have examples so that the employees can align their goals with objectives easily. How do you Keep Track and Update Goals? In a football match you will notice there is a scoreboard and continuously a table is updated on the screen. This table compares the performance of the footballer with his previous performance and with other players. It is important as it helps the coach, the player, and the fans analyze the performance. Similarly, an organization also needs to keep score and track its goal accomplishments. A research by American Psychological Association finds that monitoring your progress, increases the likelihood of you achieving your goals. And chances increase if you report progress publicly or physically record it somewhere. The She’s Got Systems entrepreneur Kelly Azevedo, like to keep it simple. She uses the two-square-foot post-it notes. It is used extensively to track contracts closed, income goals, social reach and web traffic. And the best part- All you need is a pen to keep track. There are apps for everything in this age, so, it comes as no surprise there are various apps to track goals. A great online app to use is Asana. In a single click, you can set targets for the entire team and track it daily. What’s more? It’s free to use. The premium upgrade is just $9.99 per month. This specific action for reaching your goal will become a habit. In other words, you will be habituated to success. You can track it daily, see weekly progress, monthly development and also assess the rolling average. The data is synced so you can see the latest stats anywhere. You can choose other apps as well, here is a list. If you google goal tracking software there will be plenty of fish to choose from. GroSum is a fun software to use, as it helps you visualize your goals. It helps managers to have a track of employee’s performance. The employee can update the targets, see their progress and access any feedback they have received. 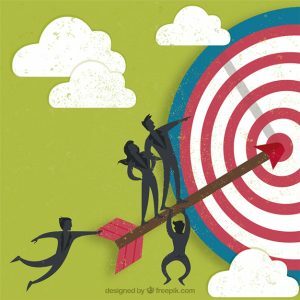 While updating the targets, they can put in comments, which will help them to justify or explain their experience while working towards the goal. You can try it for free. Another great software to try is Joe’s Goals. The single page interface makes it user-friendly, and it’s a great way to track progress and reach ambitious goals. Using a whiteboard is great for brainstorming, and for making flow charts. It is a simple technique but it is very effective. Chris Brisson, the founder of Call Loop tried all online tools and then going back to whiteboards and pad of paper. It worked pretty well for the company as they grew over 200 percent over a year. 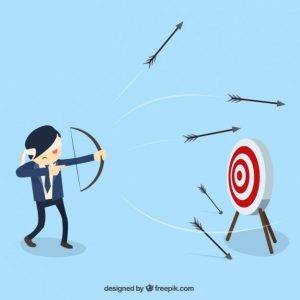 How to avoid the common mistakes made in Goal Setting? 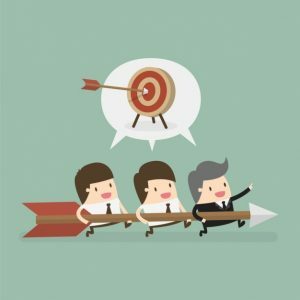 Achieving goals is beneficial for both employees and managers. Once a goal is achieved, the decision of what is to be done next becomes clearer. And the time wasted on understanding tactics is saved. However, very often goals fail. Who do you hold responsible? Yourself? The team? Situation? It may happen that the first quarter reports make you unhappy, and you think of goal setting as the way forward. However, this may not yield the best results. Definitely, it will lead to improvements but not at the optimum level. 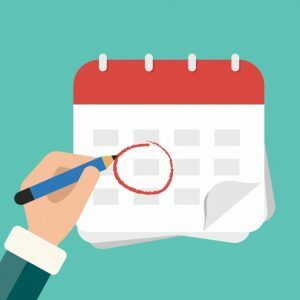 So when is a good time to set goals? It’s best to set goals at the beginning of the annual year and update goals every 3 months. The new year brings in fresh energy, and steering the company’s growth becomes easier. It’s also a great time experiment and see what works and doesn’t work for your company. However, this does not mean that you set the goals in first of week of January and revisit them next year. Staying current is very important and regular evaluations are needed for it to be a blockbuster hit. It is often misunderstood that goals should be a private contract within the teams and departments. And no one from outside the circle should know the goals set. This creates an unnecessary culture of competition and sidelines the company’s objectives. It is important thus, that you adopt a software which promotes transparency all over. I have already stressed the importance of having specific goals. Often managers set random goals for employees without much thought. Another gap which occurs is that the instructions are not clear. Say you ask an employee to order new stationery for your office. You fail to mention the specifics of date and requirements. This goal then remains unattained on the track record as the employee doesn’t know what to do. So, by specific goals I mean goals which are clear and can be attained by taking prompt action. Imagine playing the video game Mario and replaying the same levels again and again? It may be fun to play and defeat the dragon once, however, if the difficulty level is not raised chances are you won’t be playing again. Your employees feel the same way. Setting goals which are too easy will lead to disengagement. A goal should encompass the growth factor of the employee as well as that of the company. This doesn’t mean that you set a goal which is unattainable. It simply means that goals need to be motivating and engaging for your workforce. Consider living in a world where there is no innovation. Had that been the case you would not even be reading this guide. It’s important to keep goals fresh and updated. In the digital world where information is so readily available, it’s time to use it for keeping your goals current. Tracking the new demands, trends can help your company become the “in” thing. You may come across an easy solution for your problems or maybe an innovate way to set goals and improve performance. Thus, revising goals has to become a priority in your schedule to understand the kinks and bonuses of an activity. “Practice makes perfect”- Initially it will be difficult to gauge these mistakes. However, continuously working with your team will help you draw insights on their strengths and weaknesses. You will also find flaws in the setting of goals yourself if you continue this practice. And as humans, it is obvious you’ll be making mistakes. But be smart and learn from your mistakes. Goal Setting is a much talked about topic, especially in startups. How you set goals is directly related to how you run your business. It’s easy to follow the principles and write your own goals and keep track. But, it will result in chaos if you try to do the same for a team of more employees. You might then need an employee to just monitor and write goals! So what do you do? How do you manage effective practices and results for all? It’s simple, choose a framework of goal setting according to your needs. 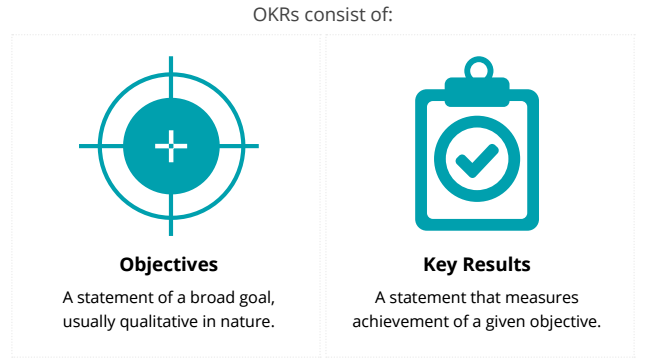 Commonly referred to as OKRs, was developed by Andy Grove at Intel. The organizational objectives are clearly set and then communicated clearly to all levels of the company. This enables employees to align their team goals and individual goals with the company’s broader goals. The employees in this framework, are encouraged to set their own objectives and take charge of the results. This increases accountability in the workforce. 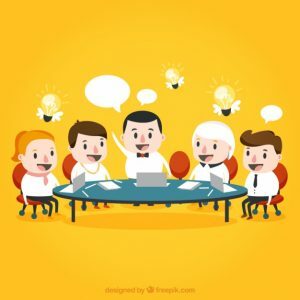 Also, it improves the sense of belonging to the company as the managers and teams sit together to ideate how to achieve the company’s objectives. This framework also provides flexibility, as you can set objectives according to specific project or time, depending on the need. Did you know this framework is used by google? Management by Objectives is an approach used to define goals and reaching these goals by using existing resources. The ultimate aim is to improve the performance of the organization by aligning the goals of individuals with the company within a specified time frame. A major advantage of this approach is that it allows continuous monitoring and feedback for improving the outcome. It encourages participation by all managers in the goal-setting process and implementation of the performance systems. This enables better strategic planning and in turn, allows the organization to realize its objectives. This pre-specified time framework allows creating benchmarks for performances at any point of time. It was first extensively used by General Electric(GE) and is now used by many including DuPont, Xerox, and HP. 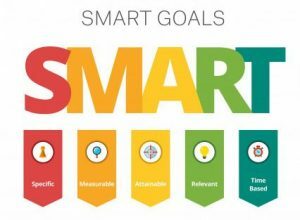 An effective goal setting guide cannot be complete without the knowledge of SMART goals. Setting SMART goals is the shortcut to success as it helps with clarity, increased effort, time management and productivity standards. Did you know this concept has been around since 1980’s? It was made popular by Robert S. Rubin in his article for The Society for Industrial Professor. It’s simply an acronym which encompasses all essential features of goal setting. However, it is now expanded to be SMARTER, as it includes Evaluated and Reviewed as focus areas. 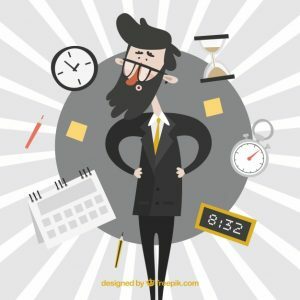 How to Create SMART goals? Conceptualising broad goals are easy and doesn’t take much time. However, converting these broad visions into SMART visions is the challenge. Writing these goals correctly will help you stay on track and lessen the burden. Your goal should be crystal clear for anyone who reads it. The aim is to create focus and motivation. When drafting a goal, make sure it answers the questions What, Why, By whom, and How. The importance of data in an organization and its influence on performance is not unknown. The goals should be written in a way that they can be measured. Transparency of these numbers helps in improving performance. The progress won’t be progress if you can’t measure it. The goals set has to be attainable. Setting a novice mountain climber to climb Mt. Everest can only end up in a failure and worse if feelings of self-doubt come in. When setting a goal, the previous performance and level need to be considered. The “how” of the goal becomes very important. The situational factors affecting the accomplishments also needs to be factored in. Our marketing manager needs to ask himself if he has the aptitude for digital marketing? How much money will the course require? Does he have the time to invest in this course? This step is to ensure that the goal is meaningful to you and aligns with the broader objectives. It may be important for you to eat healthily and that may be a goal, but this has little to do with the organization. The goal should be inclusive, it should be a goal which drives everyone forward. This doesn’t mean that’s its a team goal, but it means that your goals help the team inch forward to their goals. Our marketing manager needs to think if he is best suited for the profile if his new skill will help the company and most importantly if it is causing any inconvenience to others. Write the goal with an expiry date. It’s simple, if you have all the time in the world to achieve something, chances are you will never achieve it. Hence, a target date for completion of any task has to be set. The “when” is of the essence as it drives actions in people. Our marketing manager needs to put a timeline in perspective before taking the course. Ensure none of his other duties are taking a back seat. And also create a balance for completing his course in six months. The easiest way to write SMART goals is to use a questionnaire. It helps to focus and the limited space makes you think hard. 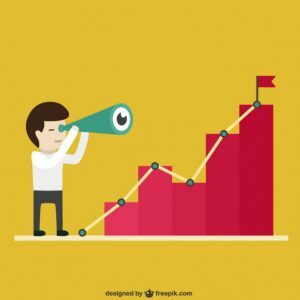 What Trends should you follow in 2018? Personal development is a major concern for generation Y. They cannot put up with stagnation. This is why goal setting in organizations should cater to the development of their employees. These goals may vary from learning better management skills to a workshop on how to use social media extensively. It may also include improving soft skills of the employees by giving them opportunities to groom themselves and become more eloquent. Anything which takes time to comprehend doesn’t appeal to the new generation. This generation is the ‘snapchat’ generation. They see, understand, laugh and forget. Thus, goal setting has to be a strategy which makes things easy, it cannot be another hassle for the employees. It’s time for organizations to answer the question: “What is really needed, what’s at the core and what would be nice to have” and implement it. Authoritative management has become old school. Yes, it’s important to maintain the hierarchy but it’s also important to not overdo it. 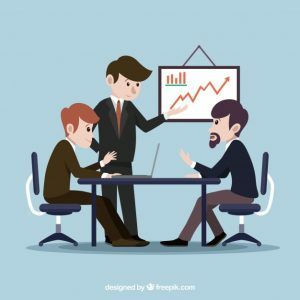 The managers have to understand that their role is not to delegate duty and sit back, instead, its to analyze the strengths of each member and ensure they give in their best. They have to wear the hat of a coach and a team player at the same time. Imagine I ask you to make a plan for the entire year and stick to it. Sounds difficult because it is difficult. In an age where things are changing in a blink of an eye, it’s important to keep space for reforms. Goal setting needs to have space for incorporating these changes and cannot be absolute. This is why companies are trying to change their annual reviews and review goals quarterly. Your employees are performing according to their best capabilities, but your company is not moving forward? This is because individual goals of employees are being met but they aren’t aligned with the company’s objectives. It’s important to dream big and set broad objectives for your company. The employee goals then need to be fine-tuned to match the same. Thus, measuring goals cannot only be about individual performance but about the organization as a whole. Now that you understand what goal setting is and how you can use this simple strategy. Here, is a quick overview of what you read. Goal setting is not as simple as it looks. It requires planning, effort, and precision. Goals need to be classified and broken down for better results. Using action plans is the way to move forward. Mapping the performance and keeping a track of progress is equally important. Goals need to be set the SMART way. Using simple paper and pen can help keep track. Goal setting enables you to think bigger and achieve better. Big companies also sketch their blueprints before executing. 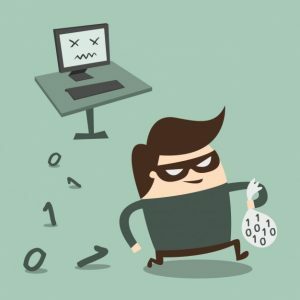 Let me know in the comment section below if you found this article useful. Also, share with me some pivot goals which you have set to make a difference. With GroSum Goal Management, make goal settings, alignment, tracking a productive process with increased engagement up to 75 %, resulting in higher performing employees and better financial results. 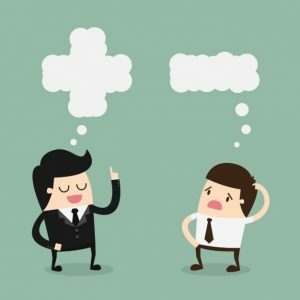 Pingback: How CEOs get teams to execute strategy effectively? 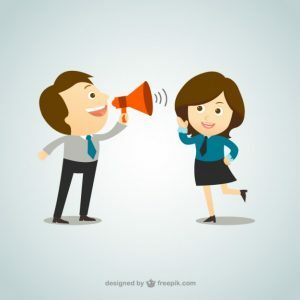 Pingback: Employee Feedback: How it can transform an Employee? 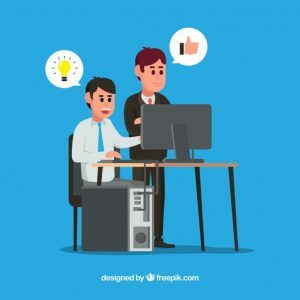 Pingback: Why Employee Reviews cannot be like Movie Reviews?